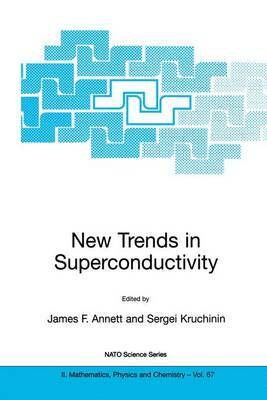 New Trends in Superconductivity contains up-to-date papers covering the most exciting current topics in superconductivity research. The main areas include cuprate superconductivity, covering mechanisms, pairing symmetry, pseudogap, stripes, growth and synthesis; novel superconductors, including MgB2, Sr2RuO4, borocarbides and C60-based systems; and mesoscopic superconductors and vortex matter, including vortex structure, type II superconductors, macroscopic quantum coherence and qubit devices and multilayer systems. A useful, up-to-date reference of current research in all of these rapidly developing fields of superconductivity.